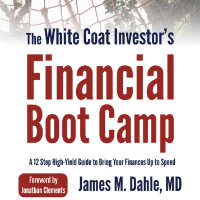 As part of my “Virtual Book Tour” for The White Coat Investor: A Doctor’s Guide to Personal Finance and Investing, I was interviewed on Josh Mettle’s Physician Financial Success Podcast about the book, the website, and physician finances in general. I thought you might be interested in the interview. It runs a little over a half hour. I was going to embed it directly on this website, but the file is unfortunately too large. If you prefer to read instead of listen, the transcript can be found below. I did a little editing of the transcript, but it still reads a little rough in places. Probably because it is a transcript of what I actually said, instead of what I should have said. Let me know what you thought in the comments section! 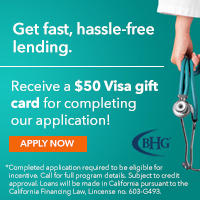 By way of disclosure, Josh Mettle and his firm, Physician Home Loans, are paid advertisers on the blog. I also wrote the foreword to his upcoming book on physician mortgages, so we have lots of conflicts of interest I want you to be aware of. Now, on to the interview! Josh Mettle: Hello and welcome to the Physician Financial Success Podcast. My name is Josh Mettle, and this is the podcast dedicated to advising physicians how to avoid financial landmines. 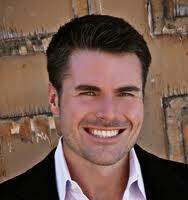 Today, we’ll be talking with Dr. Jim Dahle aka The White Coat Investor. Jim is a full-time practicing emergency medicine physician who also happens to have a mission of helping other physicians build wealth and avoid being ripped off. Jim, it’s a pleasure. Welcome to the show and how are you today? Dr. Jim Dahle: I’m doing great. Thanks for having me on. Josh Mettle: Absolutely. It’s a pleasure, and I have about 50 questions for you, most of them we are not going to get to today. But before we dive into those questions that we are going to get to, can you just tell our listeners a little bit about your journey to becoming a physician-financial guru ‑ that’s my term, not yours ‑ and why you do what you do. Dr. Jim Dahle: It’s interesting that term, guru. No one really wants to be thought of as a guru [laughter], but if you actually look it up, it just means teacher. I’ll take that. Dr. Jim Dahle: Because I feel like that’s really what I’m doing for docs. The subjects I cover, on my blog and in the book are simply things that were never taught to doctors. Doctors are very smart. They can take in information very quickly, but you need to search the information out yourself or someone is going to need to teach it to you, and medical schools and residency certainly are not going to do it. I tried to step in and fill that gap that docs really aren’t getting anywhere else unless they search it out themselves, which can be a long, painful do-it-yourself process. So, I started picking up books. Many of them were lousy books. A few of them were great books, but I happened to live across the street from a used bookstore [laughter], and so once a month or so, I would read a book. It was amazing what kind of information is in there, stuff you’ve never heard before and all of a sudden, I learned about mutual funds and stocks and bonds and mortgages and about insurance and about portfolios. After a while, I realized this stuff is not hard to learn. It just takes a little time. I think what I tried to do in the book and on the website is mostly to just lay those things out that I found valuable, so people don’t have to read 20 or 30 books to get the basics of personal finance and investing. Josh Mettle: I think it’s interesting that you and I started into our paths here from a similar way. I don’t know if I ever told you, but on the eve closing on an apartment complex that I was buying, I was called into a lender’s office, and she told me that, and this was the lender in this Bay. She was the best of the best, I was told. On the eve of the closing, I found out that I was going to need another 10 percent down, and the interest rate was going to be a percent higher. It was that initial getting burned that just kind of made me want to do it the right way and actually put me in the business. Anyway, I don’t think there’s a better way to get started on a journey because it’s something you never forget that feeling in your gut, how you feel about being taken advantage of in so many ways. Great story on how you got started. You mentioned your book. You were kind enough to send me an advanced copy of the book, which is really excellent. I learned a lot, and like you, I read a lot of financial books. I was impressed with how good it was. I was hoping that you could tell our listeners a little bit about the book, which is titled, The White Coat Investor: A Doctor’s Guide to Personal Finance and Investing. Dr. Jim Dahle: Well, yeah. It’s funny you mentioned that you were impressed. I’m surprised you were impressed with the copy I sent you [laughter]. I made a lot changes since then. Actually, I sent that copy out to about 20 or 30 people. Some of them docs, some of them financial planners and accountants, attorneys, all of different backgrounds and just got hammered on it, which is wonderful because that’s what I asked them to do. I made all kinds of changes. I ended up adding five chapters to the book. I doubled the length of a couple of other chapters. I made a lot of changes that really made the book a lot better. Because of that, it’s almost somewhat group written, and I think that really is one of the strengths of the book now. I always wanted to write a book. Over the year prior to writing The White Coat Investor I had been collaborating with a couple of financial advisors and trying to write the book together. However, it’s such a difficult process that adding in another person doesn’t make it any easier. It makes it even more complicated, and so, after a while, I realized that I just need to get going on this myself. I’m just going to have to be responsible for it or it’s never going to get written. Dr. Jim Dahle: I actually got started last year while driving to Denver. My wife was driving on this trip and we were going out to a wedding, and I started typing. By the time I got to Denver, I had six chapters. Dr. Jim Dahle: And I thought, “Well, this isn’t hard. This doesn’t take long at all.” It turned out the writing is the easiest part. It’s easy to write, especially as someone that pumps out, I don’t know 4,000 or 5,000 words a week on the blog, and writing is easy. But what turned out to be hard was doing all the editing and formatting and going through the process because I’d never been through it before. I think the second time would be much faster, but I sure learned a lot going through the first time. Josh Mettle: Yeah. Well, I tell you I say impressed, and let me tell you why. 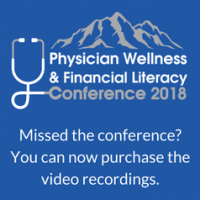 I also was right smack-dab in the middle of writing a book, Why Physician Home Loans Fail ‑ How to Avoid the Landmines, and so I know what that editing process is, and I knew what you sent me. You aptly described what we’re working with was the general concepts, and I speak to a lot of physicians early in their career. 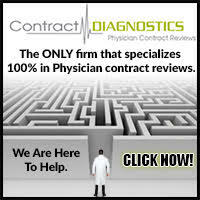 Ninety percent of the physicians that we tend to help are residents, fellows, or in their first five years of attending. The concepts that you had in that early manuscript were all things that as I go through my applications and my consultations with clients, I’m running into those same ideas. As I’m leading those, I’m going, “Yes. Yes. That is exactly what they need to be focusing on. I’m glad that you got hammered and you came up with an improved copy, which I am still reading by the way, but with that initial information, I can tell you because I speak to thousands of physicians and many of them younger in their career. The content that you had in there from the get-go was exactly what I saw was lacking. Before we get off of that, if you wouldn’t mind sharing this Millionaire by Forty goal and story that was in there, I would love you just to kind of share that because I think it’s powerful. Dr. Jim Dahle: Sure. Back in, I don’t know, it must have been when I was a resident, this was when I started reading a bunch of finance and investing books, I thought, “Well, you know what, it will be pretty cool if I could be a millionaire by 40.” I actually sat down with an Excel file and calculated out how much I would need to save and what my savings would need to earn each year for me to actually reach that goal. I figured, “Well, I probably can’t make it by 40 just because I spent the first 31 years of my life in school and training, but I can probably make it by 41 or 42.” I kind of always kept that millionaire by 40 goal in the back of my mind. Each year, I saved a little more than I had planned, and my investments did a little bit better than I had planned and my income was a bit higher than I had planned. It’s interesting. Each year, we calculate out our net worth. A year ago I calculated it out, and I said, “You know what, hon, we’re pretty close [laughter].” If the market keeps on going on like it has been this year, we just might make it this year. Sure enough, a few months ago, we calculated it out, and we’re millionaires. It’s almost a little bit anticlimactic [laughter]. Nobody comes by with a band and plays in front of your house when you become a millionaire. When you get there slowly, you do it the right way, it really doesn’t change anything. It’s just a different number on your spreadsheet, but it’s kind of fun to realize that it’s a very doable goal particularly for a high-income professional like a physician. It’s just the accumulation of a bunch of good financial decisions to get you there. You start early on. You start saving. 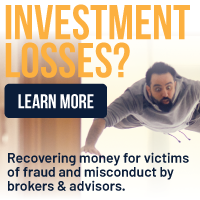 You invest in a reasonable manner. A few years later, all of a sudden, you find you have what to many Americans is an unattainable sum of wealth. Now a lot of purists will argue that a million dollars really doesn’t go very far, and that’s true. In retirement, it really can’t probably support an income of more than about $40,000 a year, which certainly is no extravagant lifestyle, but nonetheless, it feels good to be able to reach a goal you have. Josh Mettle: Yeah, and I think you bring an interesting point that it’s somewhat anticlimactic and that’s because through consistently following a plan, and it’s not like there’s one big fireworks moment where all of a sudden, you cross that line. It’s all about consistency, creating a plan and following it, and therein lays my next question for you. As I was reading that original manuscript, what I kept thinking to myself was this information is vital to get in the hands of the younger professionals. I mean, in residency, in college. That’s really where this book – I mean it should be required reading for everyone going through residency ‑ but the way you wrote it as a step-by-step guide, that’s what I was impressed with. Can you give our residents, our younger professionals, a few tips on what they should be doing very early in their professional careers to get headed down the right path? Dr. Jim Dahle: Well, I think so. I mean it’s not that you have to start early, but the earlier you start, the better off you are. I’ve got partners in my practice that are nearing 60 and learning concepts that I am teaching in this book that nobody has ever been exposed them to, and they’re still useful in the tail end of your career. But the earlier you get them and understand them, the more useful they are. Dr. Jim Dahle: Early in the book I have a whole chapter on medical school.. Since many of my readers are going to be residents or students, this is all water under the bridge to them, but if a premed student gets their hands on this chapter, it can really help them quite a bit. That comes down to minimizing the debt burden that they get in medical school. It’s becoming more and more common now for students to come out of medical school and then residency with hundreds and hundreds of thousands of dollars of debt. 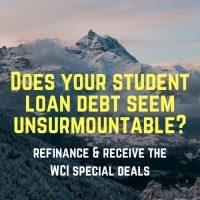 I was speaking with an agent at a bank that’s doing refinances for medical students recently, and they are – well not for medical students, but for physicians – and they are turning down attending physicians for student loan refinances because of their debt-to-income ratio, and their only debt is their student loans. Dr. Jim Dahle: This is a physician with a typical physician income and now has too much student loan debt that a bank isn’t willing to touch it, which really tells you a lot about where we’ve gone. 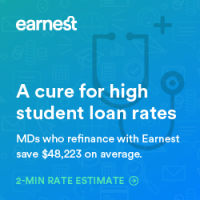 Now, the average student loan burden coming out of medical school is only in the $200,000 or $210,000 rate, but you have to keep in mind there’s a lot of students that don’t have debt at all because their parents helped them out, or money saved up, or the military paid for it like in my case, or whatever. Dr. Jim Dahle: But you’re averaging them in with everybody else. That means lots of people have $300,000, $400,000. I think the most I’ve seen so far is about $650,000 in student loans. Dr. Jim Dahle: Just having that debt hanging over your head at 6 percent, 7 percent, 8 percent, 9 percent just makes it very hard to get ahead. 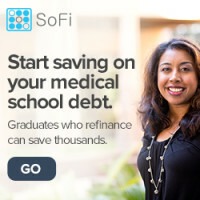 So most medical students can start by minimizing that debt, that comes from living very frugally as a medical student, managing your debt well, which you do have to take, choosing the cheapest medical school you can get into, and several other steps that can really help just right from the beginning. I mean, almost every medical student that has come out of school has some debt, and there’s probably nothing you can do about it. 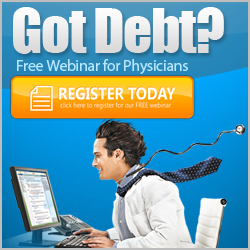 Certainly paying back debt as a physician is a very doable thing, but pretending it doesn’t matter whether you have $400,000 or $200,000 in debt is a big mistake for a lot of physicians to make. Dr. Jim Dahle: The other thing that I hit early on in the book is talking about things like getting a good insurance plan in place. I’m always surprised by this when I get physicians that come to me. They are several years out of residency and still don’t own life insurance and disability insurance. I mean, their greatest asset is their ability to earn money in the future. Particularly if somebody is depending on them, buying a big, fat, long-term, level premium term policy is so important. I mean I cannot imagine if my family had to go from living on my income those first years as an attending to then living on what was our net worth, which was a very small amount and would not have lasted very long. As you go along, your portfolio gets bigger, and dying young becomes much less of a [financial] tragedy each year, but early on, that would have been a terrible thing. 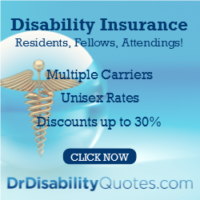 Likewise with disability insurance, that’s not just for the people you are leaving behind. That’s also for you. 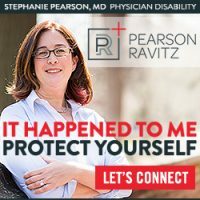 I ran into a doctor the other day who’s actually living off his disability insurance because he had become disabled, and he has not bought very much. He bought a monthly income of $2,500 or $3,000 a month. I mean it’s great that he bought something, and he said, “It’s okay. We get by on it.” But I cannot imagine that he doesn’t regret buying more than that. Dr. Jim Dahle: Going from a typical physician income of $10,000 or $20,000 a month to living on $2,500, basically you’re going back to being a resident. I think that’s not where you want to be in the event that you are one of those rare people who gets disabled. 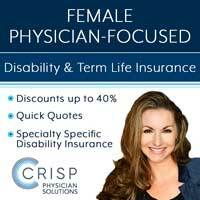 I emphasize the importance of getting an insurance plan in place early on in your career, really shortly after getting out of medical school. Josh Mettle: Yeah. I almost think that could be more vital. I mean, you can’t bankrupt that debt even if you have a medical issue. If you are disabled, then you don’t have income, and you’re coming out like you’re saying with $300,000, $200,000, $400,000 in student loans, and you don’t have some way to take care of that. What an incredible burden and drag on your family going forward. Dr. Jim Dahle: Right. It’s interesting. You look at student loans and compare them to a mortgage. In most situations, when you own a mortgage, you also own a property that’s worth more than the mortgage. Dr. Jim Dahle: If you really need to get rid of the mortgage, you can sell the property and you’re out of it. Dr. Jim Dahle: So that really gave him the motivation he needed to get those loans paid off early in his career. Josh Mettle: He didn’t want his brain foreclosed or bought. I love it. Well, you mentioned read and invest early, and those were the insurance, the staying out of debt, and in your book, you got me thinking about so many of the young residents that I advise. I think they’ve got so much going through their mind. It is just an incredibly stressful and heavy process, especially if you’re a young mother or a young father and you’ve got as a family to be providing for, on top of all the profession that you‘re doing. But, tell me about your philosophy of investing early and even maybe you don’t have a lot of money, which I think is the excuse, “Hey, I’ve got $1,000. I’ve got $5,0000. Why would I even want to get started down this path? It’s a waste of time.” I think it’s somewhat of a consideration with some of the young residents that I talk to. Tell me about your philosophy on that and getting started early and at least starting to use those early investing years as time to increase your understanding of the field of investing and personal finance. Dr. Jim Dahle: Well, I think there are some great points there when people say, “You know, how much does this really matter what I can save as a resident versus what I’m going to be able to say to an attending?” There’s a lot of truth to that. When you’re making $3,000 a month compared to when you’re making $20,000 or $30,000 a month, you just can’t save as much money. I mean that’s absolutely true. A lot of people don’t get started because they figure they will do it when they become an attending. So long as they do start doing it when they become an attending, that’s probably okay, but what I find is that people do not do that. Dr. Jim Dahle: That’s because of the importance of habits. If you get into the habit as a resident of saving money, then it’s going to be very easy to continue that habit forward as an attending. I think that’s one of the best reasons to start early. Another reason is because those early years are so critical for getting tax-free money into your accounts. You’re basically, compared to what you’re going to be paying later, you’re not paying taxes at all as a resident. 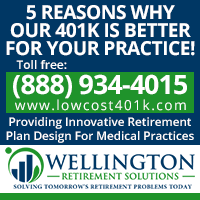 Dr. Jim Dahle: So that’s the time to be putting money into Roth IRAs and Roth 401ks, money that will never be taxed again in your career, which for a physician they may be paying as much as 40 percent or 50 percent as a marginal tax rate. Those early raw savings really go a long way. Of course, there’s the principle taught in just about every personal financing investing book about compound interest. The longer you have the money compounding, the harder it’s going to work for you. Just an extra 5 or 10 years can mean an extra 50 percent or 100 percent on that money. Getting started early, I think is really important. The biggest secret for a physician is all about that transition from being a resident to an attendee. The key is to live like a resident. You just finished a period of three, or four, or five, or even six years where you were living on $50,000, and that’s about the median income in America. There’s somebody down the street right now living on $50,000, and they’ve been doing that their entire career. It’s not a huge sacrifice, and it’s something that you’ve been used to do for a few years. When your income goes from $50,000 to $200,000 or even more, if you will keep living on $50,000 or even increase it a little bit to $75,000, that will leave you a huge chunk of your income that you can then carve out and use to build wealth. 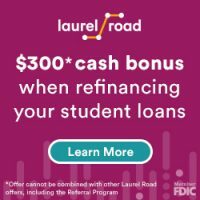 You can use it to pay down your student loans. You can use it to max out your retirement account and catch up with your peers from college who have already been saving for six or seven years. 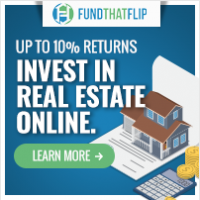 You can use it as a down payment for a home. There’s a lot of other things that you can do with that money you first get, those first few paychecks. Depending on how big your debt burden is, and so on, you can decide how long you are going to do that, whether you want to do it for six months or for two years or for five years. You don’t have to do it for your whole career, but if you will just do it for a little while, you will find that you can catch up to your peers and that you can all of a sudden put yourself in a very stable financial situation. I’m continually running into docs, who are 55 or 60 years old still with a net worth in the very low six figures, who basically have had 20 or 30 years of physician income and really don’t have much to show for it because they never figured out how to convert that high income into a high net worth. The secret of doing that is to carve out a chunk of your income and use it to build wealth. It just gets nobody can tell you that. Nobody can really teach you that. You just have to get into that habit of saving and see that number, and it is very, very exciting. To me, starting early starts that trend. You’re talking about a doctor who’s been in practice for 20 years and is in the six low figures. They just never started that trend, even if it was a very miniscule amount of money early. They just never got started down that path, and that savings bug just never bit them. Dr. Jim Dahle: I think that’s true. I mean it takes a certain amount of money before you’re in the game. It doesn’t really matter what your return is when your portfolio is not even $5,000. Dr. Jim Dahle: You can have a fantastic return. It’s not going to get anywhere near your retirement goal. Dr. Jim Dahle: You just got to get that portfolio large, and the only way to do that early on is brute force savings. You just got to save the money. After a while, you’ll see that your money is starting to work as hard as you are. 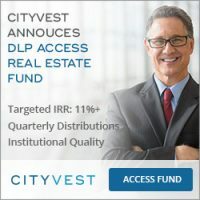 Dr. Jim Dahle: It definitely takes a while before you feel like your retirement account is contributing as much as you are, it definitely takes a little while before that starts happening, and it’s sure exciting when you realize that retirement nest egg isn’t going to come purely from your brute force savings. You’re right about that. Dr. Jim Dahle: I talked to some retirees, and they tell me, “You know, I got more money now. 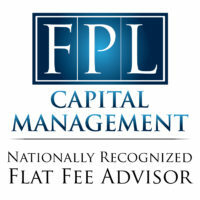 My portfolio now provides more income than I ever made in my practice.” Part of that is just the effects of inflation. It’s pretty exciting to realize when you have more money in your portfolio than you ever made in your entire life, and that’s pretty exciting I think for a lot of people to see. 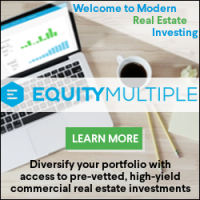 Josh Mettle: But you have to start with the – what do they say, the hardest step is the first step, and the longest step is the first step ‑ but certainly, you never get to that point of fruition and investment excitement if you don’t take that first step. So, that leads me a little bit into another question, which is you talked about living below your means on a resident’s salary for a while. I’d like to have your thoughts on how long they should do that, and then, let’s just talk about, let’s say we’re now a young attending or maybe we’re now a fellow and our income has taken a step up. Do you have a proportion of savings that you advise and like to shoot for? Dr. Jim Dahle: Four times as much as you’re spending as a resident. That’s a great increase in your standard of living. Dr. Jim Dahle: But it is hard to go backward, and it’s just the nature of us as humans, I think. It is difficult for us to spend less money once we’ve kind of grown into an income. So, I think the key is not to grow into your income and then, it’s very easy to carve out that 20 percent. Now, if there’s a true number there, it depends on the person on how long they want to work and how well their investments do. For some people, it might just be 15 percent. For others, it might be 25 percent, particularly if they want an early retirement, and they find they need to save 25 percent or 30 percent to get there, but the point is, the number is not 5 percent nor is it 10 percent. That is just not enough for a typical physician that doesn’t start until he’s 30. It’s just not going to provide the retirement income he’s going for. Josh Mettle: Yeah. I’ve heard different suggestions all over the board. I think 20 percent will, if started young and you avoid some financial calamity, then 20 percent is going to get you certainly somewhere comfortable. A couple of the financial guys that I listen to have looked at different stats and say, “You know the end goal once you pay off debt, so you don’t have a big portion of your income going there, should be as high as 50 percent, if you want to end up wealthy, truly wealthy, not just, “Hey, are we gonna be able to make it through retirement?” So, I agree 20 percent to 50 percent, but I think the key is probably starting early and allowing that to grow. Dr. Jim Dahle: Yeah. There is no doubt the more you save, the better off you’re going to be, but you’re always balancing that out with the rest of your life. I mean the point for me of getting a portfolio is not to have a portfolio. The goal for me is to be able to live my life the way I want to. Dr. Jim Dahle: There certainly is no prize for dying with the most money in the bank. That was never my goal, but I don’t want to be worried about money, either now or when I’m 50 or when I’m 70. I basically want to live what I call the good life, which is a life where I don’t worry about money, where it just becomes a nonfactor in my life. I’m free to do what I like, do whatever work I like to do, and as much of it as I please. That’s kind of my goal with it. Certainly, I have had years in which I did save close to 50 percent of my money, my income, and that is great, I think especially early on, it can make a big difference. But I don’t think physicians should feel like they’ve got to save that amount of money for their entire career, particularly if they’re not trying to retire early. I mean the fact is that will just give them so much money. They probably don’t need that much and can probably loosen up the reins a little bit. One of the authors in this niche, Robert Doroghazi ‑ he is a cardiologist who wrote a book a few years, kind of about his path to a comfortable retirement ‑ and his quote was, “If you want to loosen up, if you want to loosen the reins a little bit, splurge a bit, well, feel free to do so after you have a million in the bank.” I think there’s some truth to that. Early on, you really need to have your nose to the grindstone and be working hard and be saving hard, and you learn about finance and investing, but I don’t think you need to do that from midcareer on. If you’ve been doing things right, I don’t think you got to kill yourself saving a lot ton of money. But, the more you save, the wealthier you’ll be. No doubt about that. Josh Mettle: Yeah, that just comes up to personal preference and what your goals are. Josh Mettle: Do you have the name of Robert’s book? Did you say he was an author who wrote a book? Dr. Jim Dahle: Yeah. His book is called, The Physician’s Guide to Investing. Josh Mettle: The Physician’s Guide to Investing, great. Well, you wrap up the book by explaining the mission of the White Coat Investor, and I felt a bit of a similar mission. As a father, I know that the world you and I leave behind will be what they will deal with going forward. 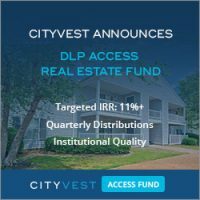 If you would, tell us a little bit about the mission of the White Coat Investor, and how we can do our part to feed into that? Dr. Jim Dahle: Sure. Well, I want to see physicians win the financial game. That means having a comfortable life and a good retirement, etc. Really, physicians have already won the financial game by virtue of the income they get paid. Even the lowest paid physicians are making enough money that they should have a very comfortable life financially. Dr. Jim Dahle: They are about 90 percent of the way there, just by virtue of getting into medical school and completing the arduous training. There’s only a little bit more to do, and that’s learning some of the financial concepts and investing concepts that will help them to develop their high income into a high net worth. My mission as the White Coat Investor is to help docs to get that last bit of information they need to be financially successful. It’s more of realizing that we just got to get this information out there because nobody is getting it. I mean I am continually getting emails. People tell me, “Thank you so much for teaching this. I’m telling all the people in my residency class. I’m telling all the medical students I teach. I’m referring people to your site. I’m telling people to buy your upcoming book.” It’s just spreading the word more than anything. I think doctors in particular have this almost a bit of a guilt complex. It’s very interesting the feedback I got on my book from people who are not physicians who basically said, “you need to sell the book harder. You need to market it harder, point out that they can become very wealthy if they follow these steps”, and then, the feedback I got from physicians was more along the lines of “you’re selling this too hard. Doctors aren’t about money.[laughter]. We didn’t go to medical school for” – I’m not kidding, man [laughter]. Josh Mettle: That’s really interesting. Dr. Jim Dahle: This is exactly the feedback I got, and it’s split right down in the middle. Dr. Jim Dahle: Finance professionals told me to push that aspect. Doctors told me to push against it. You have to keep a balance there, but doctors do not want to think of themselves as having gone to medical school to make money. Now, I think deep down inside, we all like to be paid what we’re worth, and we all like to feel that we’re adequately compensated for the job we’re doing, but I think there’s a lot of truth to that medical school application that we all wrote, where we said we really want to help people. I’m sure there’s a few doctors out there that just wrote because that’s what they’re expected to write, but deep down inside, I think most docs are really good people who really did go into medicine for the right reasons. They really take phone calls at 2:00 in the morning to come to the hospital and operate on people, and do all the right things for the right reasons and those are the people I want to reach. I want those people not to be handicapped financially in their lives because they chose to do something that’s really noble, that’s really good. It’s really an honorable mission to serve those people and help them to get the information they need to not only be successful professionally, but also financially. Josh Mettle: That was really well said, and I find it really interesting that I was in the former of the two camps that you mentioned. I was so pumped up about that information that I just wanted to go rent a blimp and fly it around with the name of the book on it for you [laughter]. Dr. Jim Dahle: Yeah, yeah. It’s very interesting. I certainly took your comments to heart. I said, “Yeah. I’m probably not marketing the book as much as I should.” I think you’ll notice if you look at the newer version I sent you that there’s an introductory section on the first page on why you should read this book. Dr. Jim Dahle: Which directly came, I think, from the feedback you gave me. Josh Mettle: I love it, and I appreciate what you’re doing out there. I certainly see the use and the need for it. It’s interesting from my perspective because I get to see everybody’s balance sheet. I get to see their liabilities. I get to see their assets. I get to see their net worth. I get to see what their income versus outgoing expenses are, and I also get an insight into how busy especially young residents and fellows and attending are and with growing young families and kids running around. There’s just they need a place to boil all of that noise down and get some solid information, and I applaud you for providing that. It’s been a pleasure having you. I appreciate your time, and of course, if any of our listeners do want to contact you, I assume that’s through the website, but would you like to give any way to contact you with? Dr. Jim Dahle: I think the easiest way is probably just email me. My email address is [email protected] I also read every comment posted on the website and try to respond to those as well, but certainly do come in contact with a lot of people with questions. I think the best way to do financial education is what’s called just in time education. When people are buying a house, that’s when they want to know about mortgages. Dr. Jim Dahle: When they get the first 401k, that’s when they want to know about asset allocation, and I try to have that available to them all the time, 24/7 on the Internet, so that when they need the information, they can look it up. Josh Mettle: Right. 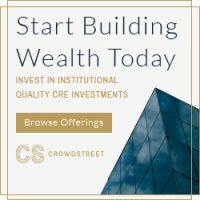 They just go to that White Coat Investor website and search for whatever it is that they’re about to invest in or go through and there it is, all the blog posts, and all the articles. Josh Mettle: Beautiful. Jim, thanks again for your time. I appreciate you and good luck with the upcoming book release, and we’re excited for what you’re doing. Thank you. Dr. Jim Dahle: Thank you very much. I appreciate you having me on. Josh Mettle: My pleasure. Take care, Jim. I just listened to the youtube interview and read the rest of the transcript. I finished the book maybe a week ago and it’s an amazing book for someone like myself. I have been practicing as a family doctor for 5 years now. But I think it’s not just for physicians, I think my best friend from high school who is a computer tech could benefit greatly from reading it as well. Very well done, a lot of research that you obviously did putting it together. I really like the extra reading at the end of the chapters and the links you placed (I got the kindle edition). You were referring to investing 20% of gross which makes sense, to me 50% seems high or even impossible especially if living in higher tax States (NY, CA, etc). Did Josh mean net income then? Or was he also referring to gross as you were? I think he was referring to gross income. And yes, I think that’s far more than anyone who wants any kind of a typical career needs to save. But if your goal is to retire in less than a decade, then yea, that’s what you need to do. 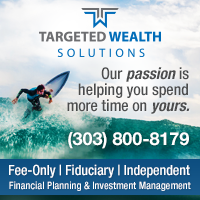 Lots of extreme early retirers do save that type of percentage of their income. I’ve only done it for one year of my life (it was actually 64% or so) but I wasn’t paying much at all in taxes and a good chunk of that savings was for a car I bought in January of that next year. Myself and some of my co-residents, and even some of my attendings, have come across your book and are very fond of it. As you point out, finance can be a difficult subject, especially for us physicians with limited exposure. You really break things down in laymen terms and in an organized fashion. I was curious–do you offer any seminars/weekend events where you discuss these topics? Thanks so much. I can come out and speak to your group. 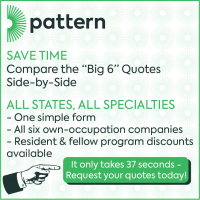 Contact katie (at) whitecoatinvestor.com for quotes and to make arrangements. But I don’t have a pre-set conference or seminar occurring periodically. Still practicing medicine full-time! Great! Thank you so much for your response. I will get in touch with her!